← What will the @DavidArchie #Glorious surprise be? @DavidArchie Tonight was absolutely wonderful.Blessed to have been there to hear you sing again and meet the folks at Rising Star Outreach. EEEEEEEP WHOLE NEW WORLD SNIPPET!!!!!!!!!!!!!!!!! This entry was posted in Fan experience and tagged David Archuleta boots it bettah. Bookmark the permalink. Nice! This is a “total outfit” appreciation post! =) Liking the casual attire! The hair looks good too and the setting is gorgeous. 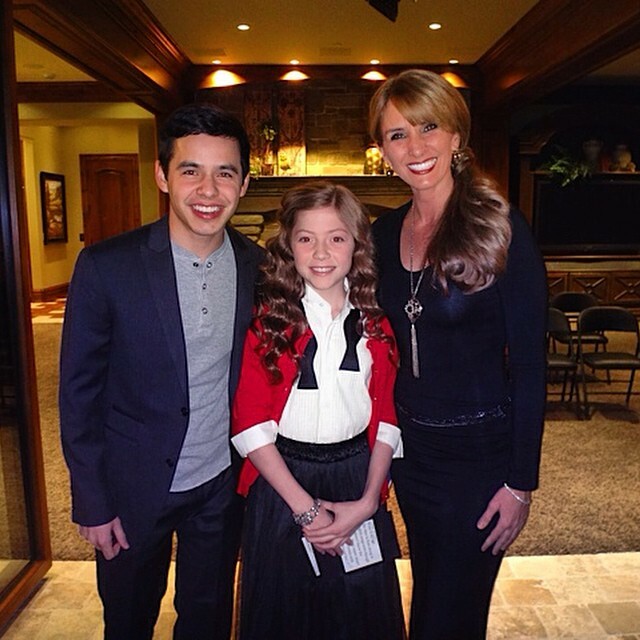 Kari sent a response on twitter that the performance by David and Lexi was filmed so we will get to see it! Hope it won’t be too long until it’s available to view. I’m looking forward to the video that gets made with fans all over the world singing Glorious. Hope there are a lot of entries. I won’t be one of them. Guess I will be planting a tree too! Short snippet of David and Lexi singing “A Whole Ner World”. Whoa! Extreme dapperness. Magic boots no doubt. REALLY need more of that RSO event! Hey "Team" I'd donate $30 if you could share all the performances…please? Pattirae sent me an mp3 that her husband recorded of David singing The Riddle. I have put it in Abrra’s Candy Jar for all to enjoy. RUN, DON’T WALK OVER TO THE VOICE, THERE ARE VIDEOS FROM THE RSO EVENT ALSDKFADFJAKSFDJALKJF GOOOOOOOOOO NOW!!!! PUT DOWN THAT CUP OF COFFEE!!!!!!!!!!!!! IF SOT DOESN’T KILL YOU THEN YOU ARE NOT HUMAN… OH MY SWEET PEACHES THAT VOICE!!!!!!!!!!!!!!! DID NOT KNOW HOW MUCH I MISSED IT UNTIL I HEARD IT JUST NOW!!!!!!!! I HAVE MEETINGS FROM 3 THRU THE REST OF THE DAY AND ALL I WANT TO DO IS KEEP REPLAYING SOT… GOOOO!!!! GOOOO!!!! WATCH!!!! NOW!!!!! How did you know about my coffee?? You are fast! Yes run run run!!!! As soon as I saw the “boots” I thought of you. These are some of his best. Somebody Out There and David the man’s voice….killer. Here is a link to Abrra’s Candy Jar for all the mp3’s and mp4’s of the videos from Rising Star Outreach Benefit Concert. This cover of Glorious wins for cutest IMHO! Big thanks to Abrra once again for the MP3s! That video Grammyj, of the little girl singing Glorious is absolutely adorable! Hope David sees it.